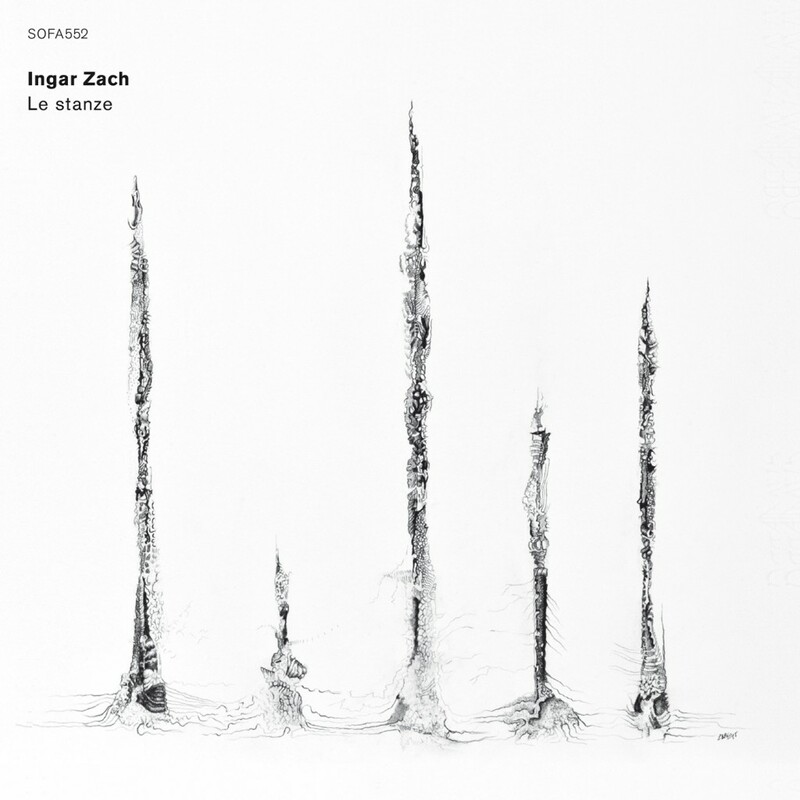 A new name for me, but tucked beneath the surface of several SP reviews is Norwegian percussionist Ingar Zach: an active figure on the European free music scene, though perhaps more at home among the contemplative Hubro school than vikings like Lasse Marhaug. He even racked up a couple of Derek Bailey collaborations in the early noughties, which is hardly anyone’s front page news I imagine, though it is his improvisor status that surprises most: a couple of listens into Le Stanze and I had him down as a considered, post-classical composer, not someone with a couple of Derek Bailey collaborations under their belt. The truth lies somewhere between. The post-Gruppo d’improvvisazione(…) slither n’ scrape shenanigans that open Le Stanze maintain a haunting presence throughout, serving as a ‘spontaneous’, space-carving foil for the more ‘constructed’ sections in which percussion and electronics respectively stimulate and depress the music’s blood-flow. Perfect case in point is the galloping fit of percussion that drives halfway through ‘Il Battito Del Vichingo’: a skin-tingling, almost mechanical alignment of racing kickdrum and metallic shower that blows away the blues brought on by the dour intro, but which obligingly returns to the same after some low flying electronics have passed by. This sudden snap back to listlessness is mystifying, but we are compensated with a ‘Teo Macero moment’ beforehand, when the pounding rhythm is yanked from beneath the aviationary drone, briefly leaving us airborne. Such dynamic extremes are representative of the varied compositional approaches brought to bear on the tools at hand, and of the potential ambivalence experienced in their alternation. For instance, while the chilling pulsations of ‘L’inno Dell’ Oscurità’ gradually acquire an arresting, almost coital momentum over the minutes, the closer – ‘È Solitudine’ – is more evidently an exploratory process; applying what sounds like an electric motor to various resonant surfaces and monitoring the resulting tonality. 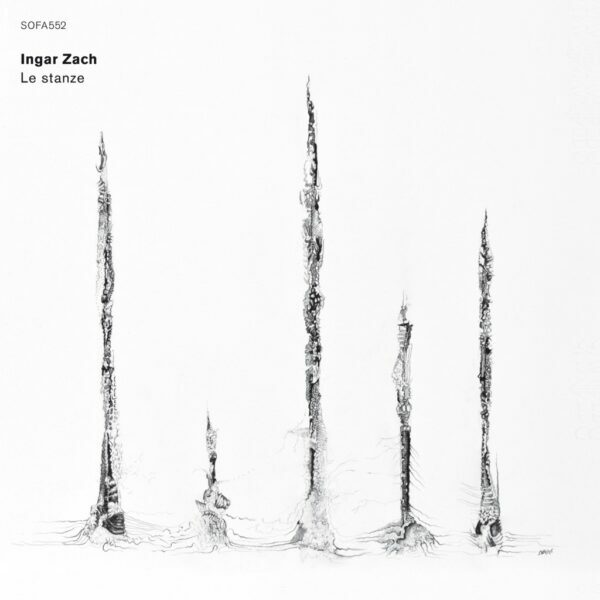 Neither Merzbow nor Dumitrescu, this voice of the concealed realms is by no means dull (and might even prompt a nervous jerk or two from the listener), but in isolation its purpose is less easily justified than that of certain earlier sections. Which hints at an opportunity missed: to blend the disparate and to promote cohesion between unpartitioned forces. As improvisation, this is fascinating. As composition, baffling. As hybrid, difficult to place.